Be Prepared for a 2012 Crop Insurance Audit. Crop insurance has received much attention this year, as many farms have experienced the driest conditions in recent history. As a result, many producers will file their first large crop insurance claim. For producers who are unfamiliar with the crop insurance audit procedure, a notice that their claim is being subjected to a review from the insurance company may be disconcerting. If you find yourself in this situation, remember that claims over $200,000 are subject to an audit, pursuant to federal regulation. 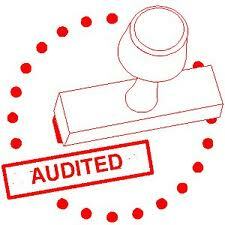 The fact that your claim is being audited does not mean that you have done anything improper. Private insurance providers are required by the Federal Crop Insurance Corporation/ Risk Management Agency to conduct audits of crop insurance claims of $200,000 or more. They do this to insure that claims are valid and being documented properly. What does this mean to the producer who is audited? Basically, the insurance provider wants to establish that your production is accurate. The insurance provider will also want to verify whether crop insurance documents relating to application, production reporting, etc. are in compliance with Federal Crop Insurance Corporation procedures. An insurance company representative will undertake this review and will likely visit your farm. Documentation will be needed, specifically actual production history (APH) documentation. Producers faced with an audit will need to supply these records for the three years prior to the claim. As a result, farmers who are filing large crop insurance claims might be advised to begin gathering documentation of production for the past three years. Documentation of production can be verified by settlement sheets, scale tickets, load records, combine monitor records, and bin measurements. However, your crop insurance agent should be contacted so that you can make certain that your records are satisfactory. For example, combine records must specifically identify the field as well as the date of harvest and unit numbers. Be proactive in preparing for a possible crop insurance audit because indemnities are not paid until the audit is completed. The Banks Law Firm PLLC represents agricultural producers in crop insurance disputes. For more information call Grant Ballard at 501-280-0100 or contact him by email at gballard@bankslawfirm.us. Thank you for visiting the Banks Law Firm web site. Feel free to visit the About page to learn more about any of our attorneys & staff. Law service to people faced with the uncertainties, anxieties, and expense of going to the courtroom – trial practice – is our focus. The Banks Law Firm can help you or a loved one when faced with the prospect of a serious court trial, financial damage, or an adverse adminsitrative action by state or federal government. If you have been hurt, accused of a crime, or are involved in a dispute that can have a major impact in your life, please contact our office today.